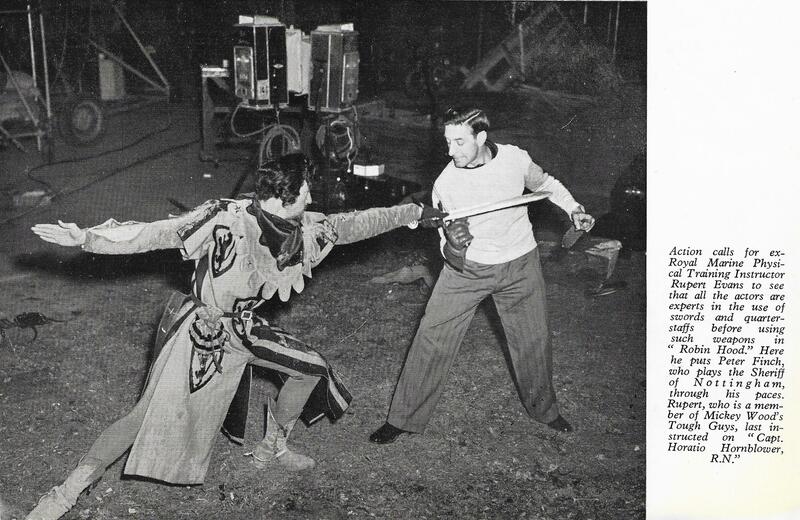 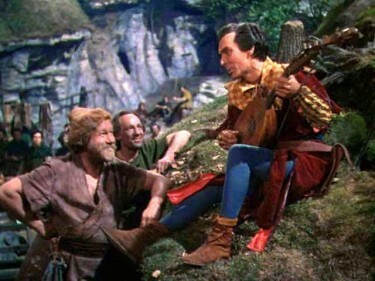 I have purchased these TWO pictures from the filming of The Story of Robin Hood and His Merrie Men – the one immediately below – and the third one down showing Walt Disney talking to Richard Todd and Elton Hayes. Quite honestly I am thrilled with them – or more so really with ONE of them. 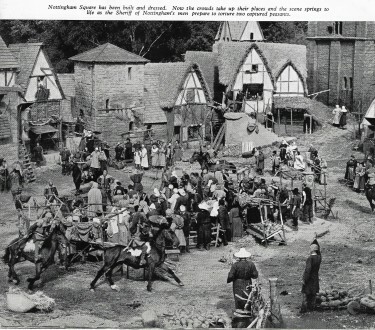 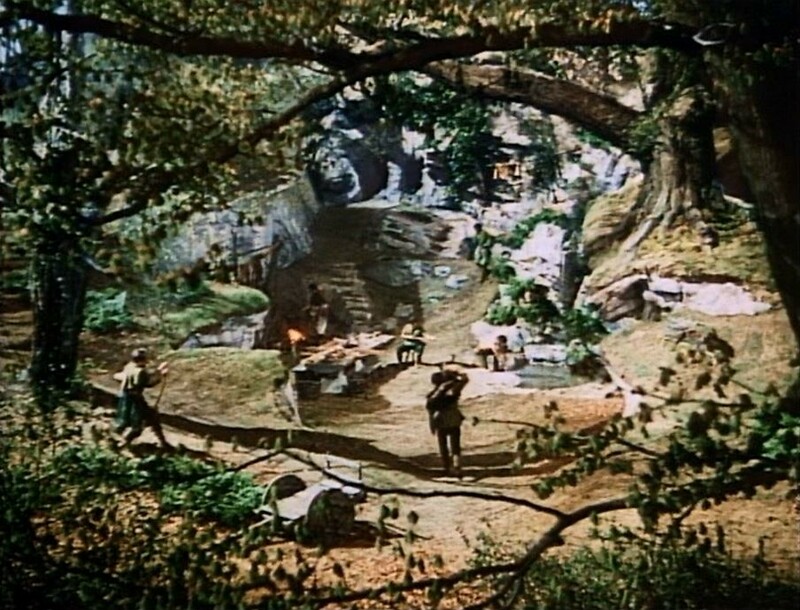 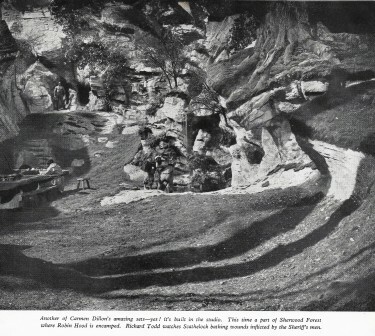 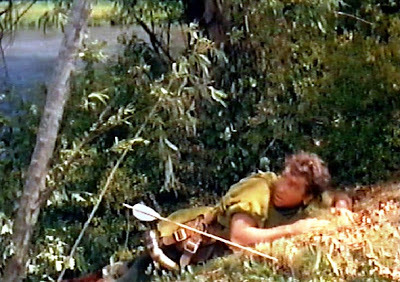 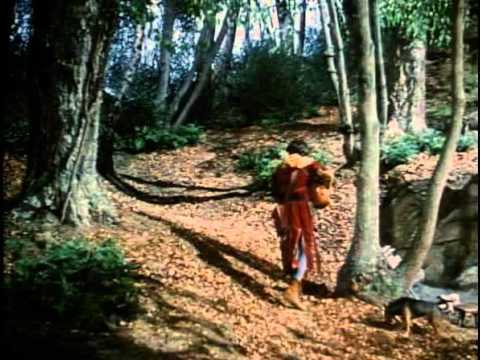 That is the Studio scene BELOW at Denham Film Studios showing the filming towards the end of the Picture, in Robin Hood’s Camp – this is the original photograph and absolutely crystal clear whereas I have previously seen this one in a smaller less clear version. 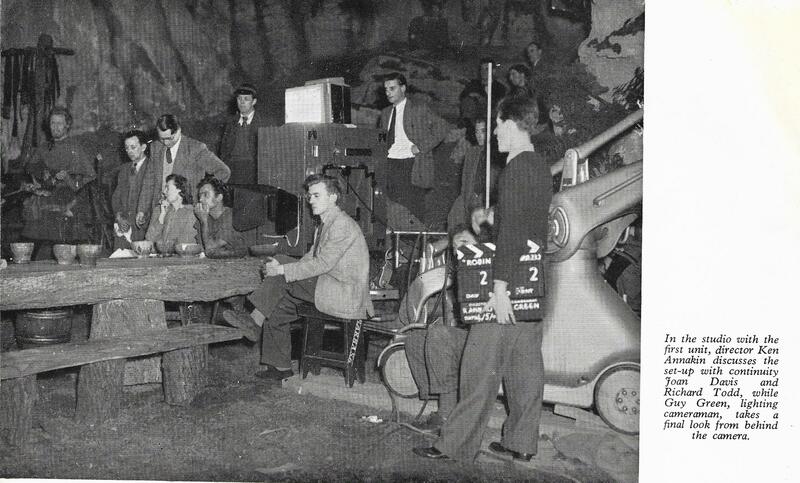 I think this scene would be filmed at the end of July 1951 – and I have a feeling that I would be on holiday with my Mother and Dad and Brothers in St.Albans at that time – so as a small boy would have been passing the Denham Studios at the very moment this scene was filmed. 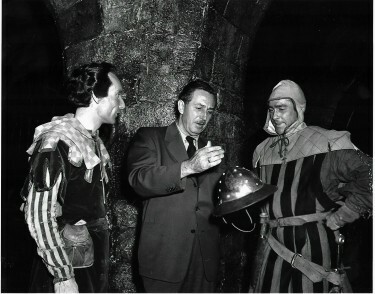 The other picture ABOVE: – with Walt Disney, Richard Todd and Elton Hayes, I have seen many times before. 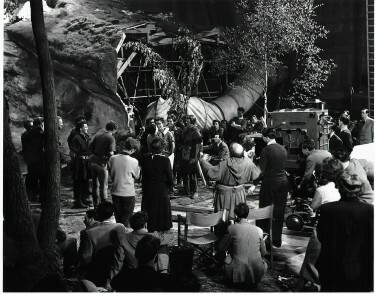 Hard to imagine that the Camp above is a Studio Set – on a scale that could only have been done at Denham at that time. 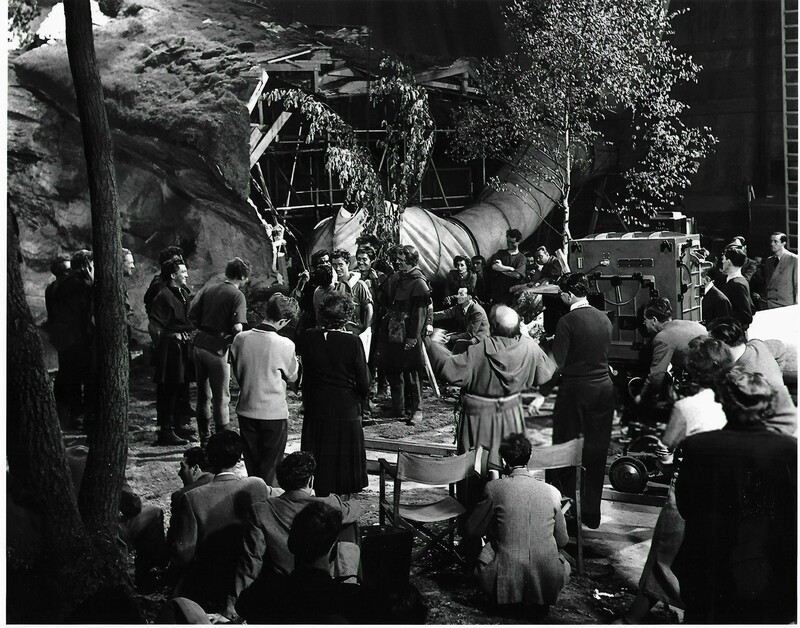 Above: Filming a Scene in the Camp – Richard Todd is seated at the Table and Ken Annakin the Film Director is standing just behind him and to the left. 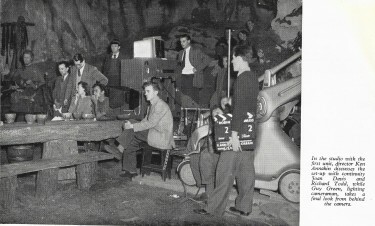 Above : Another picture from the making of the film. This time an Outdoor Film Set of Nottingham Square – and here Robin Hood and his Men plan to free a number of peasants being held captive. 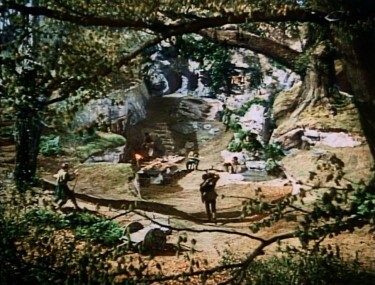 A Thrilling Scene.